If you have been blessed with fabulous curly hair, then you are one of the lucky women who are able to rock the best hairstyles ever. Many women don't embrace their curly hair and they always try to straighten them and wax them and consequently totally ruin them. Your curly hair is a blessing, not a curse, so discover the secrets to style it in the most stylish way and make all your friends jealous of your fabulous curls. Her are tips for curly haired women. Leave your hair grow long and this will have a shaping effect on your curls. 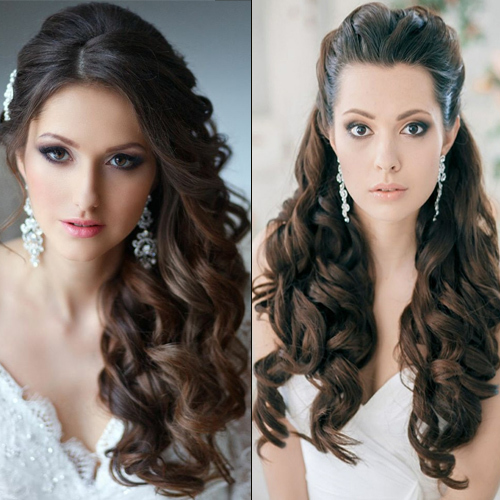 In fact, the weight of the hair will make them look more wavy rather than curly, giving you a romantic and soft touch. Braid or twist 2 strands of hair from the front and tie them at the back or the side of your head. Then leave the rest of the hair hanging loose in soft waves. A very romantic look. You can style your hair in a soft, low bun by simply pulling it back into a ponytail and, on the last loop, don't pull it out completely.